I proposed Marc Blitzstein's The Cradle Will Rock to Studiospace, the Bristol University Drama Department's student-run production company, for the mainstage slot that only opened up once a year to a final year student director. It was performed in the Wickham Theatre, a professional performance space that is wonderfully versatile and allowed us to stage the production in a traverse layout, with audience on two sides of the actors. This was in 2010, just as the news was telling us that the 'credit crunch' may be turning into a 'recession' and so the production weaved in these modern topics into the design and concept of the play. As a student, I workshopped a production of The Last 5 Years at the University of Bristol for two free performances. Rehearsed in only one week and staged with audience on both sides of the performance space, it was a useful experiment in how to bring to life a story that is told both forwards and backwards at the same time. 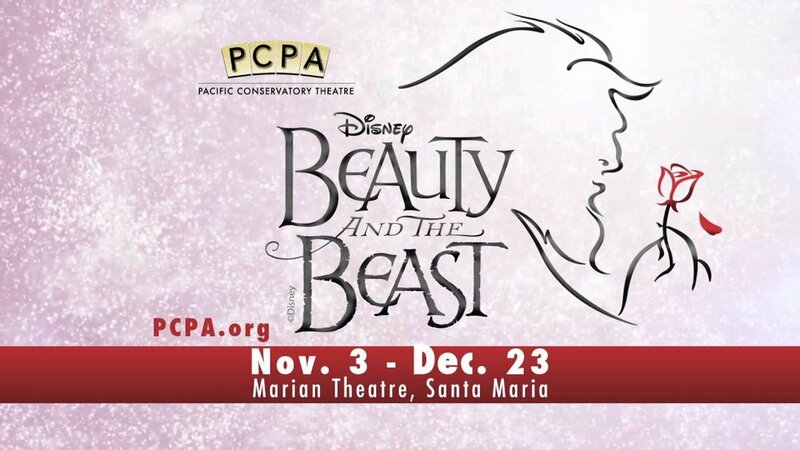 This professional production of Beauty and the Beast was performed at PCPA Theaterfest for a winter run in Santa Maria, CA and a summer run in Solvang, CA. Starring Dana Castello as Belle (recently on Broadway in Finding Neverland), the production had over 500 light cues and numerous special effects. I managed all of the backstage crew and scene changes and called the show on alternate nights. Boxtales Theater Company is an innovative storytelling company that brings myths and stories to life through mask work, puppets, acrobatics, and music. This touring production of the Odyssey was comprised of five actors and utilized aerial silks as an integral part of the staging. Directed by Peter Lackner, we took the production around California to great acclaim. Throughout university, I expanded my Photoshop skills by offering to design posters for productions by the various drama societies in Bristol. I have a strong appreciation for a well-designed poster and have enjoyed partaking in this realm.